Hip Hop for ages 4-18 is an ever-popular street dance offering a non-intimidating approach to rhythm and choreography. At RoCo, Hip Hop is expertly broken down in a way that kids of all ages and all backgrounds can understand. Classes include a wide range of styles notably locking, and popping, funk and house styles which were developed in the 70’s. 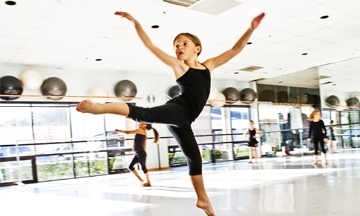 Contemporary grades k-12 is a traditional dance class mixing a vocabulary of techniques to build a strong foundation for any type of dancer. 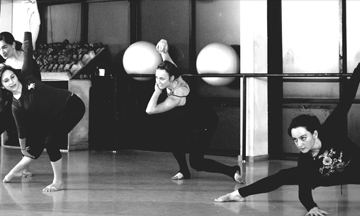 Class includes exercises to develop strength, flexibility, coordination and rhythm set to contemporary music. Ages 6-12th Levels 3 and 4. To get to this level dancers are required to start with Contemporary. Jazz is popular due to its exposure on television shows, movies, music videos and commercials. Jazz takes the ballet vocabulary, brings it lower to the ground and emphasizes line and isolation of the body. RoCo provides a comprehensive curriculum to all of our ballet faculty. The syllabus is rooted in the classical Russian Vaganova technique. 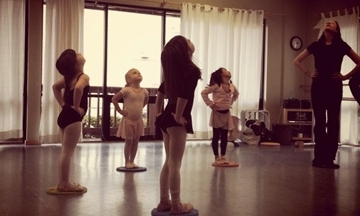 Our ballet program is aged based for kindergarten through 5th grade. There are 6 levels for 6th – 12th graders with classes for the beginner to the pre-professional. Pointe is included at levels 3 and 4.